He Might Have Been A Pretty Good Guy ... If Too Much Power ... And Women ... Hadn't Gone To his Head! A Huey Long-type political figure creates a following for himself among the "common" voters after being rejected by the organized party system. The film takes the point of view of a journalist who helps the politician make it to the big time by winning the governorship. But the power of high office eventually corrupts him and turns him into a controversial figure in the eyes of his onetime supporters. Every film that won the Oscar for Best Picture enjoys a certain level of fame due to that elite honor. After all, many thousands of movies have hit screens since the Academy Awards first emerged in 1929, but only 78 of these have garnered the big prize. As such, these movies mark a claim to legendary status just because of their inclusion in the hallowed roster. However, all of these flicks aren’t created equal, and some are much better remembered than others. Of course, the farther back you go on the list, the fewer people will know a certain film, though that’s not a perfect rule. Obviously, 1939’s Gone With the Wind and 1942’s Casablanca remain awfully famous, and some other older pieces - like 1934’s It Happened One Night and 1950’s All About Eve - continue to maintain a nice audience. Then we find more obscure pictures like 1947’s Gentlemen’s Agreement and 1945’s The Lost Weekend. These are the movies that probably would be largely forgotten were it not for their Oscar status. They aren’t bad films, but many of them haven’t held up particularly well, and without the Best Picture honor, their fame would be much smaller. Into that category falls 1949’s All the King’s Men. This film tells the story of a politician’s rise to power in the south. Strongly modeled after the real-life exploits of Louisianan Huey Long, we follow Willie Stark (Broderick Crawford), a self-described “hick” who manages to capture the governor’s seat based on his connection with other folks of his lower socioeconomic bracket. Stark takes control based on his populist leanings, but he becomes a virtual autocrat once he gets the job, and he seems to turn into the kind of person against whom he railed during his campaigns. Based on the films that won Best Picture in that era, the second half of the Forties appears to have been a fairly progressive period. Through movies like Gentlemen’s Agreement, The Lost Weekend and 1946’s The Best Years Of Our Lives, we see how social issues came to the forefront of popular culture in the time, and All the King’s Men fits in neatly with those other flicks. Unfortunately, that’s not necessarily a good thing. While I appreciate the progressive baby steps seen in these movies and I can understand that they probably had a substantial impact at the time, that doesn’t make them interesting more than half a century later. To be sure, all of them are well-made films, and I can’t say that I honestly disliked any of these works. However, they’ve not aged particularly well, and for a modern audience they can be fairly tedious to watch. Probably my main problem with Men stems from its focus. Although the film is about Stark’s rise to power, he’s sort of a supporting character. The main protagonist is actually Jack Burden (John Ireland), a journalist who gets close to Stark. Along the way, this weak-willed guy becomes Stark’s stooge for the most part, and we slowly watch as Burden loses his own self-respect due to his silent acceptance of Stark’s abuses. I suppose that the film used Burden as its main character because it wants to be a cautionary tale. Although the movie may have been based on the life of Huey Long, it also seems to echo aspects of Nazi Germany. Burden appears to represent the quiet majority who failed to act while tyrants took over their government. Director Robert Rossen also stages some scenes in a manner that strongly recalls Nazi propaganda; some of Stark’s rallies look like they’re outtakes from Triumph of the Will. Burden is supposed to give the audience an entry point into the film. Unfortunately, because Burden is such a pathetically passive character, this never takes hold, and the movie limps along from its strangely detached point of view. Of course, Stark should be the star of the show, but the movie won’t let him take over that role. Instead, he’s left at a distance as we witness Burden’s observations. Despite this misstep, some parts of Men are good, mainly due to the acting. Ireland seems somewhat drab as Burden, but Crawford provides a nicely powerful turn as Stark. Frankly, I think he changes from earnest rube to neo-fascist too quickly and smoothly, but Crawford manages to make Willie a lively character; we can better accept his rise to power since he provides such a forceful persona. Crawford won an Oscar for his work, as did Mercedes McCambridge as political aide Sadie Burke. While I like Crawford’s performance, McCambridge is definitely the best of the bunch. While Burke also stands by fairly idly while Stark takes control, at least McCambridge makes her into a feisty personality. 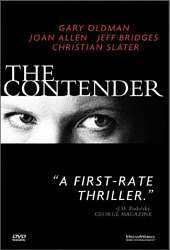 The character has much more spark than I expected, and McCambridge offers a biting, vicious piece of work. She dominates all of the scenes in which she appears and she really lights up the screen. Unfortunately, that isn’t enough to redeem the lackluster and thin political treatise that is All the King’s Men. As a cautionary tale, it fails to generate much of an impact, and as a social commentary, it lacks depth; “absolute power corrupts absolutely” wasn’t even a new concept 50 years ago. All the King’s Men provides a mildly interesting experience due to some solid acting, but the movie seems dated and unconvincing as a whole. 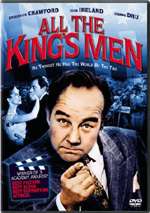 All the King’s Men appears in an aspect ratio of 1.33:1 on this single-sided, single-layered DVD; due to those dimensions, the image has not been enhanced for 16X9 televisions. Although the movie seemed watchable, I thought the picture presented a myriad of concerns. Sharpness generally appeared acceptably crisp and well-defined, though there were exceptions to this rule. At times, I found the image to appear somewhat fuzzy and soft, with a moderate lack of clarity. However, most of the film seemed to be accurate and fairly detailed. Jagged edges cropped up via some hat brims, and a mix of minor moiré effects could be seen due to checked patterns on clothes. Neither concern was overwhelming, but they were heavier than I’d expect. Black levels seemed to be inconsistent. At times they appeared appropriately rich and dark, but they could also become rather drab and muddy on occasion. Contract levels varied throughout the movie, and quite a few scenes looked excessively bright. Shadow detail also seemed erratic. Some parts of the movie showed a nice balance within the low-light sequences, but others were too dark and difficult to discern. In general, dimly-lit scenes were rather bland and lackluster. 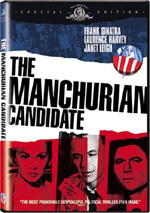 As one might expect from an older movie, All the King’s Men featured a wealth of print concerns. Light grain cropped up throughout the film, and a myriad of additional problems seemed apparent. I also witnessed frequent examples of grit, speckles, nicks, vertical lines and a few small hairs. Ultimately, none of these defects seemed to be horribly excessive for an old movie, and the other problems remained within the levels of acceptability based on that factor. However, I found the visual aspects of All the King’s Men to be a disappointment; the movie was passable but no better than that. The film’s monaural soundtrack has survived with a little more grace than has the picture, but it didn’t seem noteworthy either. Though speech displayed a thin quality typical of the era, dialogue usually sounded acceptably accurate and distinct. However, some lines were poorly-dubbed and stood out during the film. For example, when we saw Willie as he campaigned, sometimes the wider shots appeared to be out of synch with his mouth movements. These concerns were rare, but they could become distracting. As with dialogue, effects and music seemed similarly flat and lackluster and they failed to demonstrate much dynamic range. However, those issues often appeared during older movies, so I had no great worries about them. At times, the effects could sound a little shrill, but the overall impact of the track was adequate. I did notice periodic bouts of background noise, however. There was occasional popping heard on the track, and I also detected a more frequent nuisance caused by a light hum. These problems came and went, so they didn’t interfere with the entire movie. 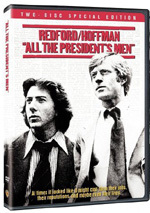 All in all, I thought that the soundtrack of All the King’s Men seemed to be very typical for its era; it wasn’t a bad mix, but it failed to stand out from the crowd. If you compare the comments above to those I made in regard to the original 2001 release of Men, you’ll find they’re identical. I thought the 2006 edition looked and sounded the same as the prior DVD. It offers a different set of extras, though. All of the new DVD’s supplements promote the 2006 remake of Men that stars Sean Penn. In addition to a trailer for that version, we get a Preview for it. This five-minute and 25-second program includes movie clips, behind the scenes shots, and interviews. We hear from screenwriter/director Steve Zaillian, producers Arnold Messer and Mike Medavoy, executive producers James Carville and David Thwaites, and actors Jude Law, James Gandolfini, Patricia Clarkson, Anthony Hopkins, Jackie Earle Haley and Mark Ruffalo. They discuss the story and characters, working with Penn, Zaillian’s effect on the project, shooting in Louisiana, and general thoughts about the film. No real information emerges here, as the piece promotes the remake but gives us nothing else. The 2006 DVD fails to replicate the smattering of extras found on the original release. That means we lose some filmographies, a few trailers, and any essay about director Robert Rossen. I wish I felt enthusiastically about All the King’s Men, but unfortunately, I thought it was a somewhat dull and heavy-handed piece. The movie featured some good performances, but it lacked great focus and it tended to ramble on for too long. The DVD provides flawed but acceptable picture and sound plus extras that do nothing more than promote a remake. Folks who want to see every Best Picture winning film will have to give this one a look, but others may want to skip it. In addition, there’s no reason for fans to repurchase this disc if they already own the 2001 disc. It doesn’t improve picture or audio, and it doesn’t offer any interesting new extras. If you don’t own Men and want to have a copy, grab whichever one you can get for the lowest price; there’s nothing about either one that makes it superior to the other.